- Winding resistance value in single or three phases. - Automatic correction of the resistance per phase to a predetermined reference temperature. The unit performs automatically, with a single connection, three phase measurements on each tap changer position previously selected. The unit measures the winding resistance per phase for each tap changer position and resistance values are automatically corrected for a previously selected reference temperature. The software controls, accordingly with the type and group of connection that the transformer under test has, and delivers the connection instructions to the operator through a color code avoiding connection errors. The software also allows selecting the type of tap changer, number of positions, and the number of taps to be tested. This selection configures a table filled with all the results per position. Also, automatically presents a comparative graphic between the theoretical and actual measured values for each tap changer position. The proper magnetization of the iron core is the most critical factor in DC winding resistance measurement. In fact the reading needs to be stabilized to allow the accuracy desired. Not only this but the iron core needs to be demagnetized, to avoid personal or equipment damages, once the measuring is finished. - Power Autotranformers (single or three phase). - Performs the measurement of each phase, sequentially, without any change in the connection to the transformer, for each tap changer position. - Uses a four wire measuring method to avoid any error from the connection cables. - Automatic magnetization and de-magnetization of the iron core. 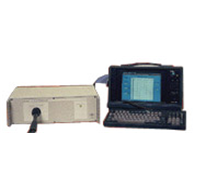 This assures the accuracy and the repeatability of the resistance measurements and also the safety of the operator and the measuring unit in case of a sudden disconnection of the test leads. - Auto range from 1 mto 1 K. The test current range from 5 mA to 20 A is automatically selected. - Automatic calculus of the resistance per phase. - The measured value is not affected by temperature variation or/and changes in the test current. - Extremely fast measurement cycle. - The connection to the transformer is guided from the computer to avoid connection errors. - All the measurement process is automatic, and the results do not depend of the user personal criteria. - All the result values are automatically corrected to a reference temperature value, to allow standard results along time.